Peru in South America is famous for its rich in tourist interests. In addition to that, Peruvian cooking has a history of several hundred years, and it integrates cooking methods of local Indians and Spanish colonists. Peru’s traditional food includes ceviche – raw fish marinated in lemon juice, onions, and aji limo. It originated in Spain. During the Expo, visitors can taste miscellaneous Peruvian cuisine, as well as Peru’s symbolic historic heritage – Inca mysterious city Machu Picchu. 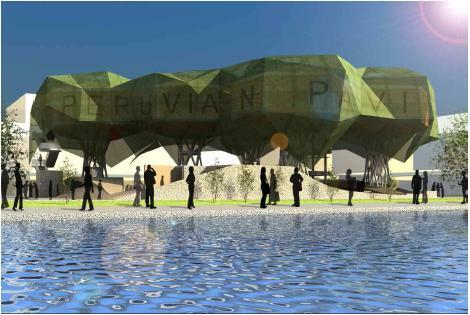 And “free taste Peruvian food” and other activities will be held in the period of Shanghai World Expo. 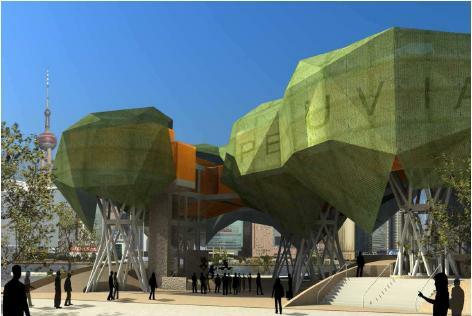 Peru Pavilion will have a 200-square-meter restaurant that seats 120 people. On July 28, the country’s national day, the pavilion will provide free food to visitors whatever the prices on the menu. This entry was posted on Tuesday, February 23rd, 2010 at 1:24 pm	and is filed under International Participants' Pavilion, Pavilion. You can follow any responses to this entry through the RSS 2.0 feed. Both comments and pings are currently closed.